Paint Your Face: A Teaser! A new installment of Nomadic Artistry, Living Out of a Truck with Style will be up soon. I’ve been slacking thanks to work. 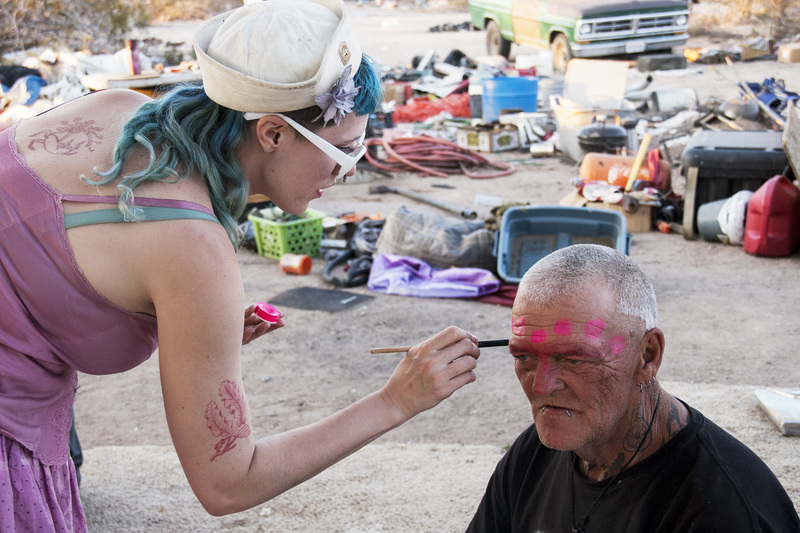 In the meantime, here’s a photo teaser of Tess Aquarium doing Papa Jimmy’s makeup in Slab City. Isn’t he beautiful? How do YOU get glam on the weekends? Looking glitzy, feeling tipsy?!! !